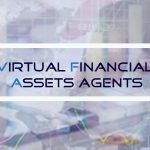 Erremme Business Advisors has been approved ‘in principle’ by the Malta Financial Services Authority to act as a Virtual Financial Assets Agent (VFAA) in accordance with the Virtual Financial Assets Act. Erremme Business Advisors is one of the 14 VFA agents which acquired this important certification and will be able to transact business in crypto assets according to the Virtual Financial Assets Act which was enacted on 1st November 2018. This granting of the ‘in principle’ license follows a rigorous process which included a written exam and a screening interview. 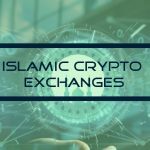 The VFA agent has an important role in the cryptocurrency and blockchain investment markets since they will serve as a first line of defence for market integrity and public interest. The VFA agent will also need to perform an exhaustive due diligence process on their clients and would need to support the MFSA by providing the necessary information during post registration supervision. Erremme Business Advisors is also the only VFA agent out of those approved which has Shariah expertise and also has access to internationally reputable Shariah Scholars. It has also concluded a number of agreements in this sector both locally and internationally. “We are very proud to have been one of the 14 VFA agents who have been approved in principle by the MFSA. Our expertise in the Shariah finance areas will certainly be an added advantage for those clients who wish to continue investing in Malta and in particular in this new and burgeoning sector”. 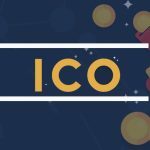 Why choose Malta for your ICO? Copyright © 2019 Erremme. All rights reserved.